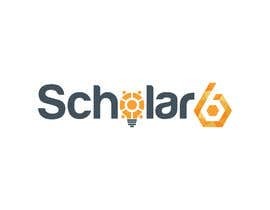 Hi, my name is Joe Francis - founding director at Scholar 6 - and I am most grateful to you for considering our brief. Do have a look at the brief attached. If you want there's something about competitors too. There is no question it's a challenge - we've already had some artistically outstanding new designs from a professional (out of respect to that designer, we can't show you these) but none of them quite fit the bill. 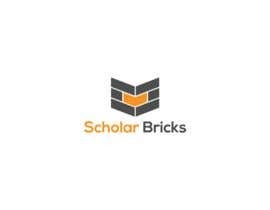 It's hard to produce something which conveys both affordability and quality and which feels dynamic and contemporary as well as compatible with scholarship and education. But you needn't tick every box to catch the eye. 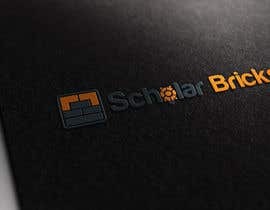 Have a look at the current creative brief. One of our straplines is "Public Education is Under-funded; Private Education is Over-priced". You can learn more at our website [login to view URL] (the new logos will be part of a re-vamped, professional website). As founding director, I am, like many others involved, currently teaching at a leading independent school - in my own case, Eton College. 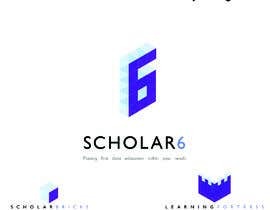 But nothing about Scholar 6 is traditional or elitist, even though we do want to convey something of the educational quality of the great institutions we work for. 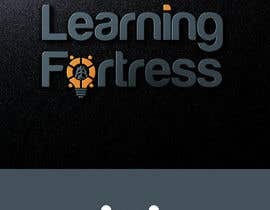 The vision is to create the best education possible for the 21st century and a considerable part of this is through our own Ed Tech - in particular through creating online, interactive investigations through an LMS (Learning Management System) currently in prototype called Learning Fortress. 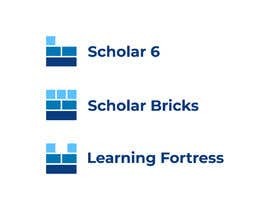 We call our investigations 'bricks', and when you complete a brick, you can drag and drop a virtual brick onto your own personalised 'fortress'. 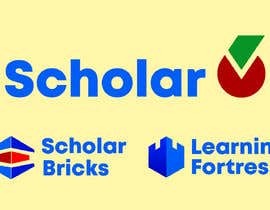 To create these bricks, we also have an app which will be used by teachers to create the investigations and we are calling this Scholar Bricks. 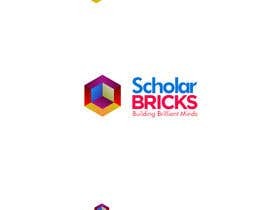 The most important is the first one - and you don&#039;t need to have a crack at all of them, but if we really like just one of your logos, we may come back to you to develop it across the brand family. Good luck - and while a polished product is great, no need to go over the top - it's fine to be in sketched form (if anyone even uses a pencil anymore). I was just curious about when will the winner be announced ? Last 3 idea #571 #590 #596 . Check please. Thanks. FINAL COMPETITION WINNER WILL BE AWARDED BY POLL. Only 8 entries can be circulated by poll to the judges. These will all be from designers who have submitted three (or at least two) designs for the logo family on ONE PAGE. 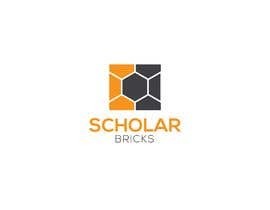 Hope you don't mind me asking sir, but what do you mean by "bricks" in Scholar Bricks? Please check new entry #431 #432 #433 Thanks. FINALLY, if you can, please submit or resubmit your BEST 3 or 4 designs as ONE page only - it makes it much easier to organise. A couple of other designers have submitted strong individual logos but we are looking for a FAMILY or SET of two or three. There are 24 hours more in which you can make the short-list. After that we will be concentrating on encouraging and optimising the designs we have. Please check entry #352 . I hope like it and give your valuable feedback . Thank you. There's has been some fantastic work submitted so far. Please check entry #319 #320 #321 #322 . I hope like it and give your valuable feedback . Thank you. PLEASE CHECK MY ENTRIES ALSO #sealed PLEASE.THANK YOU ! 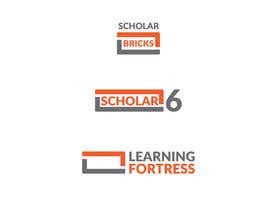 The designers best placed to win the £250 prize are those who have recognised that this is a prize for creating a FAMILY or SET of three logos - not just 'Scholar 6' but 'Scholar Bricks' and 'Learning Fortress' too. But to save your time and effort, we will happily give feedback on a single logo first and then encourage you to produce another. Only 7 designers have been encouraged to produce a second or third logo so far. Please check #265 #268 #269 thanks. 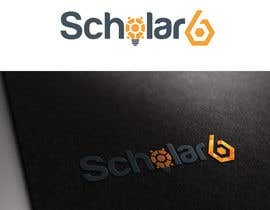 CLARIFIER: As a general guide, we feel (1) that mortarboards are a bit old fashioned (though one or two look striking in the context of the logo), (2) that owls are for a younger age group and (3) that overcomplicated logos depicting interlocking people/ globes / the leaves of books are not as striking and clear as some of the strongest logos we've seen. I hope this helps! Looking forward to your feedback. Thanks. Please check my entry #192 #193 Thanks.